Has an opioid addiction turned someone you care about into “somebody else?” Is there something that can be done to help your friend or loved one overcome this addiction? These three parts work together to help people recover. Medication-Assisted Treatment (MAT) may be helpful to your friend or loved one. Opioids are drugs that slow down the actions of the body, such as breathing and heartbeat. Opioids also affect the brain to increase pleasant feelings. They get their name from opium, a drug made from the poppy plant. People take opioids for medical reasons. large amount of liquid medicine or crush a lot of pills to ingest, snort, or inject. And some people seek a high from heroin, an illegal opioid that can be smoked, snorted, or injected. A person who takes opioids can become tolerant to them. This means that more of the drug is needed to obtain its effects. It is also possible to become dependent on opioids— to feel sick if there are no opioids in the body. This sickness is called withdrawal. Tolerance and dependence are common side effects of prescribed opioid medication. If tolerance is a problem, doctors may adjust the person’s dose or change the medication. People who have become dependent on opioid medication but are ready to stop taking it can taper off (take less and less) to avoid withdrawal. This should be done under a doctor’s care. Tolerance and dependence also occur in people who misuse medications or take heroin. Over time, such people often begin to feel uncomfortable without the opioid. They need to take it just to feel normal. 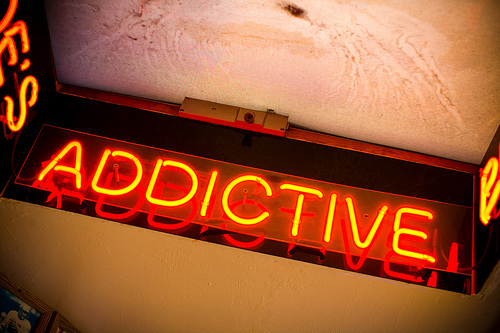 Craving—The mind develops an overwhelming desire for the drug. Loss of control—It becomes harder to say no to using the drug. Use is compulsive and continues even when it causes harm. It is not usually possible to taper off an addiction. More help is needed because the cravings are so strong and the fear of withdrawal is so great. Opioid addiction can be treated. Most people cannot just walk away from addiction. They need help to change addictive behavior into nonaddictive, healthful patterns. They can get this help with treatment—with the care of doctors and substance abuse treatment providers. Treatment helps people stop using the problem drug. It helps them get through withdrawal and cope with cravings. Treatment also helps them move away from other harmful behaviors, such as drinking alcohol or abusing other drugs. Just as important, treatment helps people address life issues they might have that are tied to the addiction, such as feelings of low self-worth, a bad situation at work or home, or spending time with people who use drugs. In short, treatment helps people move into healthy, addiction-free lifestyles—into a way of living referred to as recovery. Medication-assisted treatment is treatment for addiction that includes the use of medication along with counseling and other support. Treatment that includes medication is often the best choice for opioid addiction. If a person is addicted, medication allows him or her to regain a normal state of mind, free of drug-induced highs and lows. It frees the person from thinking all the time about the drug. It can reduce problems of withdrawal and craving. These changes can give the person the chance to focus on the lifestyle changes that lead back to healthy living. There are three main choices for medication. The most common medications used in treatment of opioid addiction are methadone and buprenorphine. Sometimes another medication, called naltrexone, is used. Cost varies for the different medications. This may need to be taken into account when considering treatment options. Methadone and buprenorphine trick the brain into thinking it is still getting the problem opioid. The person taking the medication feels normal, not high, and withdrawal does not occur. Methadone and buprenorphine also reduce cravings. Naltrexone helps overcome addiction in a different way. It blocks the effect of opioid drugs. This takes away the feeling of getting high if the problem drug is used again. This feature makes naltrexone a good choice to prevent relapse (falling back into problem drug use). All of these medications have the same positive effect: they reduce problem addiction behavior. All three medications come in pill form. Methadone also comes as a liquid and a wafer. Methadone is taken daily. The other two medications are taken daily at first. After time, buprenorphine is taken daily or every other day, and doses of naltrexone are taken up to 3 days apart. Methadone to treat addiction is dispensed only at specially licensed treatment centers. 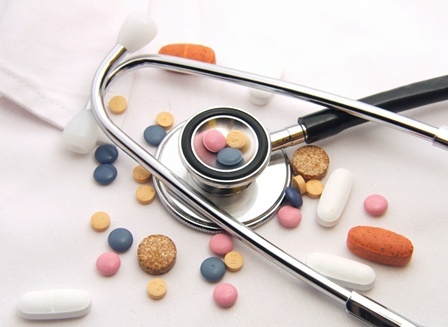 Buprenorphine and naltrexone are dispensed at treatment centers or prescribed by doctors. A doctor must have special approval to prescribe buprenorphine. Some people go to the treatment center or doctor’s office every time they need to take their medication. People who are stable in recovery may be prescribed a supply of medication to take at home. Medication is matched to the person. How long have you been taking the opioid drug? Are you taking any other drugs? What are your drug-taking and drinking habits and patterns? Have you been in treatment before? Have you ever had reactions to medicines? What are your goals for recovery? Do you have family or friends to support you through treatment? During this meeting, the person learns about treatment choices, rules that must be followed to stay in treatment, and what to expect next. A physical exam also is part of the assessment. This exam finds out about the person’s general health. It also checks for diseases that are common to people who have been abusing drugs. The exam often includes a drug test. This is usually a check of urine or saliva. After the assessment, the doctor or substance abuse treatment provider discusses treatment choices with the person, who may choose to include family or friends in the discussion. How success toward goals will be measured. The plan describes what happens if it is not followed. The person may be asked to sign a form showing that he or she agrees to follow the plan. Methadone can be safely taken at the start of recovery. Buprenorphine can be taken once withdrawal has begun. Naltrexone cannot be taken until opioids are completely out of the body, usually 7 to 10 days after withdrawal begins. Taking buprenorphine or naltrexone too soon can make withdrawal worse. Medical staff members meet with the person a few hours after the first dose is taken and regularly for a week or two. These meetings are to make sure the medication is working, that side effects are not too uncomfortable, and that the person is taking medication exactly as told. Following directions is important, because taking the medication improperly can lead to overdose or death. If the medication is not working as expected, the doctor may adjust the dose up or down or prescribe a different medication. The person may feel some symptoms similar to withdrawal as adjustments are made. Methadone and buprenorphine can cause drowsiness at first. For this reason, a person starting on either medication should not drive or perform other high-risk tasks, to avoid accidents. If drowsiness continues to be a problem, the doctor may adjust dose levels. The right medication has been found when the person feels normal, has minor or no side effects, does not feel withdrawal, and has cravings under control. Many people on medication-assisted treatment benefit from counseling—from the opportunity to talk with a professional either one-on-one or in a group with others in treatment. Through counseling, people learn about the disease of addiction. They also learn why the addiction occurred, the problems it has caused, and what they need to change to overcome those problems. Counseling can provide encouragement and motivation to stick to treatment. It can teach coping skills and how to prevent relapse. And, it can help people learn how to make healthy decisions, handle setbacks and stress, and move forward with their lives. In group counseling, people connect with others in treatment and make new friends who don’t use drugs. They can get these benefits from support groups, too. These are informal meetings of people facing similar challenges. help a person make the decision to enter treatment and stick with it. Family and friends can provide help in practical ways—for example, by offering rides to treatment, a safe place to live, or help finding work. Family and friends also can help the person in recovery avoid or overcome setbacks. Some treatment programs offer counseling for loved ones. They do this because being close to a person with addiction can be very hard and can cause pain and anger or feelings of shame and hopelessness. Counseling is a useful way for family and friends to learn more about the person’s situation, how to help, and how to handle the problems their loved one’s addiction has caused them, too. It is a safe place to express feelings and to find out what help is available for them. There are support groups, too, that are just for family and friends. These are safe places to share information and encourage others who have loved ones who are dealing with addiction. Many people overcome opioid addiction and regain normal, healthy lives. One way they do this is with medication-assisted treatment. Medication, counseling, and support: together they can help your loved one or your friend. A substance abuse treatment provider must obtain informed consent (agreement in writing) before sharing information about patients. There are two exceptions to this privacy rule: (1) if it appears that patients may harm themselves or others and (2) if patients have been ordered into treatment by the courts. To learn more about privacy rights, talk to a substance abuse treatment provider. Recovery is possible. But it takes work. After treatment is finished, everything is NOT automatically fine again. Recovery takes commitment every day, through treatment and beyond. 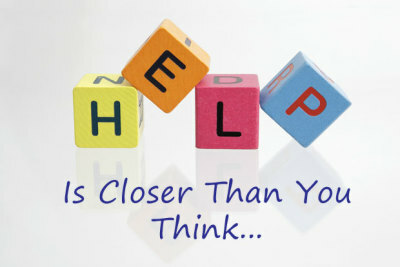 Many people in treatment relapse one or more times before getting better and remaining drug free. Each relapse is a setback, but it does not mean failure. People who relapse can continue with treatment and achieve full recovery.